A light-duty pickup with rugged capability, the RAM 1500 has been cherished for years for both its utility and its comfortable interior. 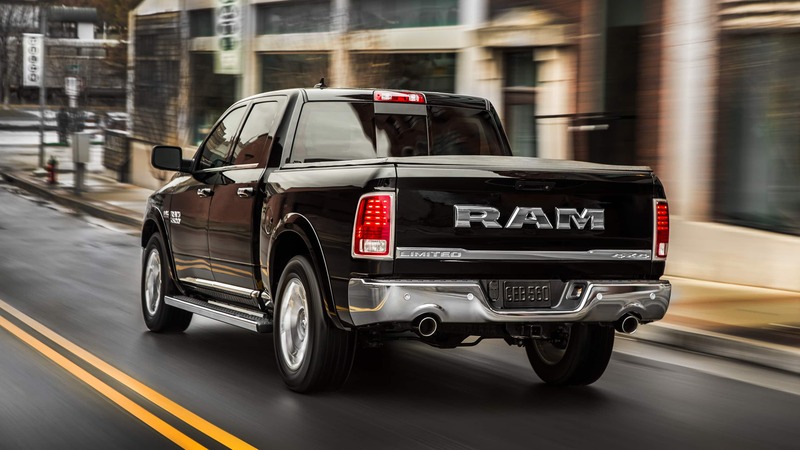 New in 2018, the RAM 1500 features a standard rearview camera on all models, an available 8.4-inch touchscreen infotainment interface, and a top-of-the-line Limited Tungsten edition for maximum interior luxury and comfort. 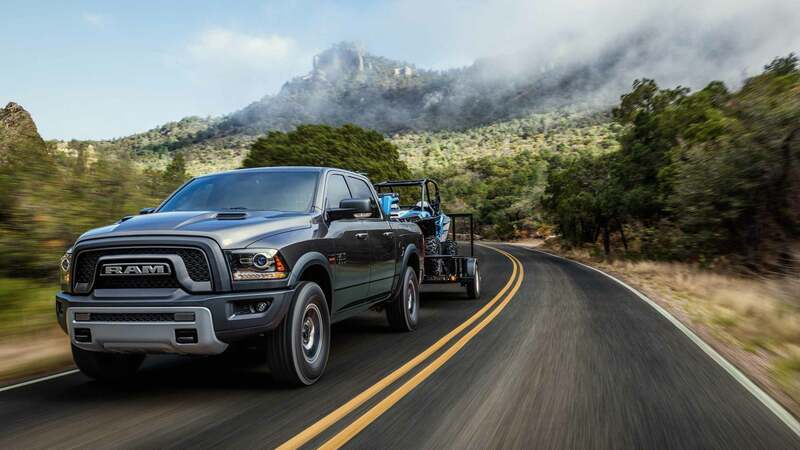 Other highlights include an available EcoDiesel engine, RAM Box in-bed storage, and a unique coil-spring rear suspension that provides a best-in-class ride. 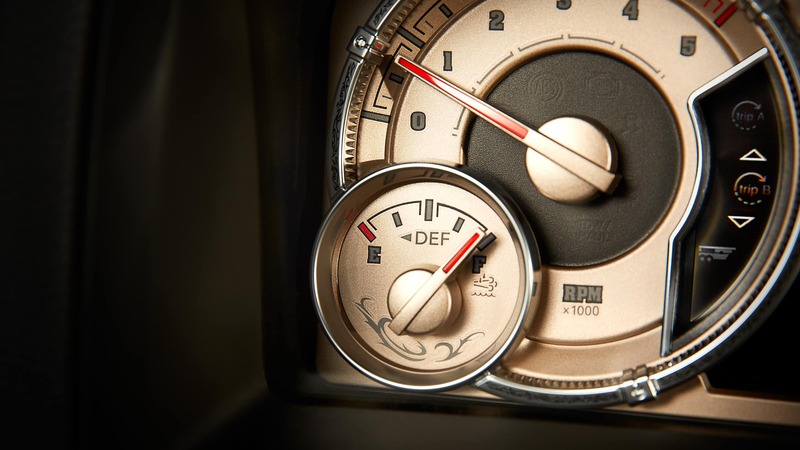 What power and drivetrain components are available with the RAM 1500? The 2018 RAM 1500 is offered with three different engines, starting with the standard 3.6-liter Pentastar V6. This engine features Variable Valve Timing with a Thermal Management System and achieves 305 horsepower and 266 pound-feet of torque. This engine also earns up to 25 miles per gallon on the highway. 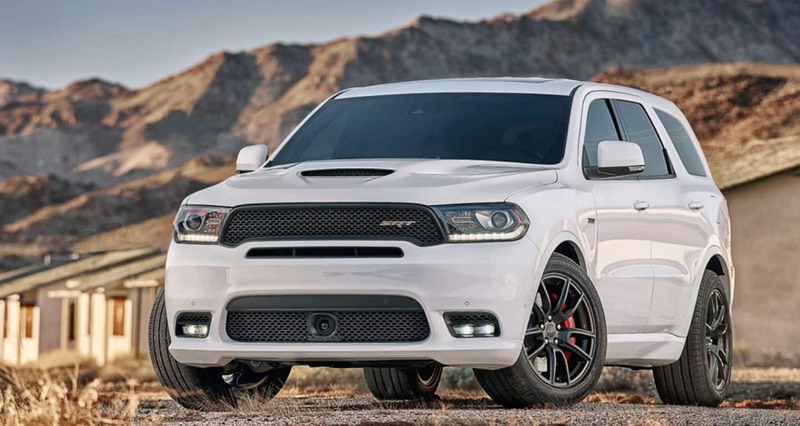 The other available gasoline engine is a 5.7-liter HEMI V8, which puts out 395 horsepower and 410 pound-feet of torque, and maximizes the 1500's towing capacity at up to 10,640 pounds. Finally, a 3.0-liter EcoDiesel V6 provides 240 horsepower and 420 pound-feet of torque. The EcoDiesel offers a fuel economy up to 29 miles per gallon on the highway and comes standard on the HFE (High Fuel Efficiency) trim. It is also available on several other trims. All engines are paired with a TorqueFlite eight-speed automatic transmission with thermal control. The 1500's suspension is a standout feature and offers a best-in-class ride. Available Active-Level Four-Corner Air Suspension with automatic load leveling ensures a smooth and comfortable drive. What body styles are available for the 2018 RAM 1500? Three available cab sizes and three available bed lengths combine to create a variety of possible configurations. The regular two-door cab allows you to maximize bed space, able to be paired with either a 6-foot-4-inch or an 8-foot bed. 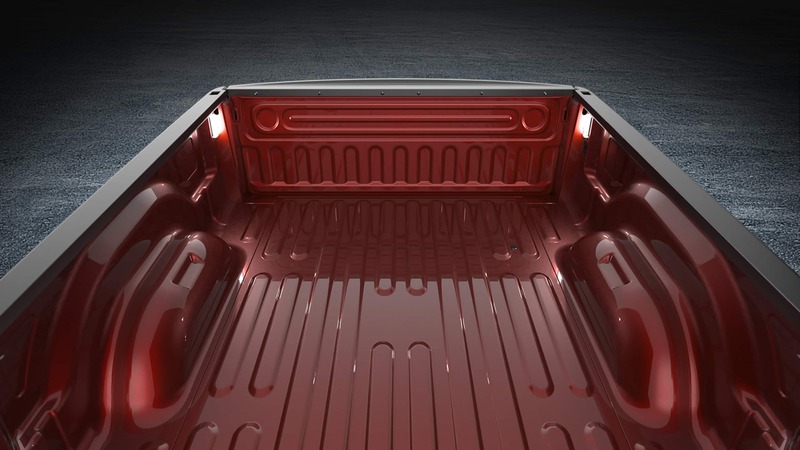 The larger, four-door Quad Cab comes with the 6-foot-4-inch bed and can seat up to six. Meanwhile, the Crew Cab also features four doors, but with larger rear doors and more rear legroom. It can be paired with either the 6-foot-4-inch bed or the smallest 5-foot-7-inch bed. 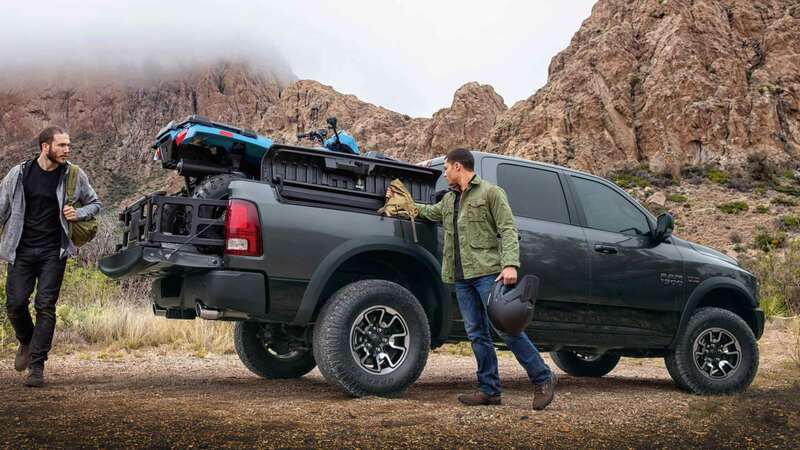 Many exterior features are available on all body configurations, including a tonneau cover, spray-in or drop-in bed liners, LED lights, and wheel-to-wheel side steps. 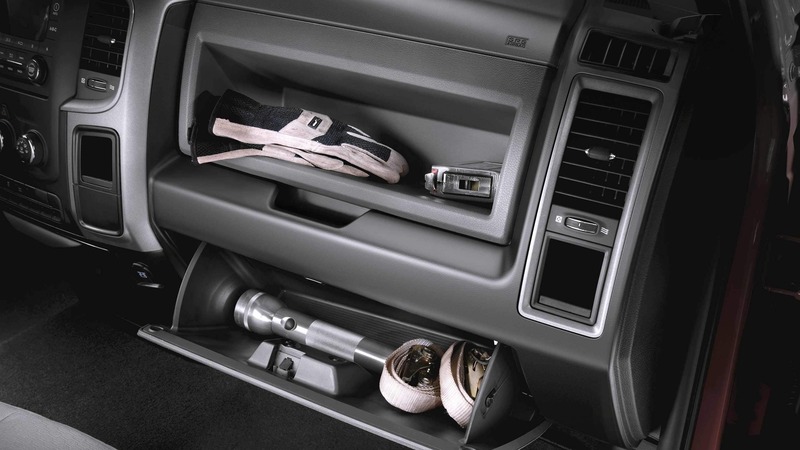 RAM's exclusive RAM Box in-bed storage system is also available to keep smaller items more secure within the 1500's bed. What is the 1500's cabin like? 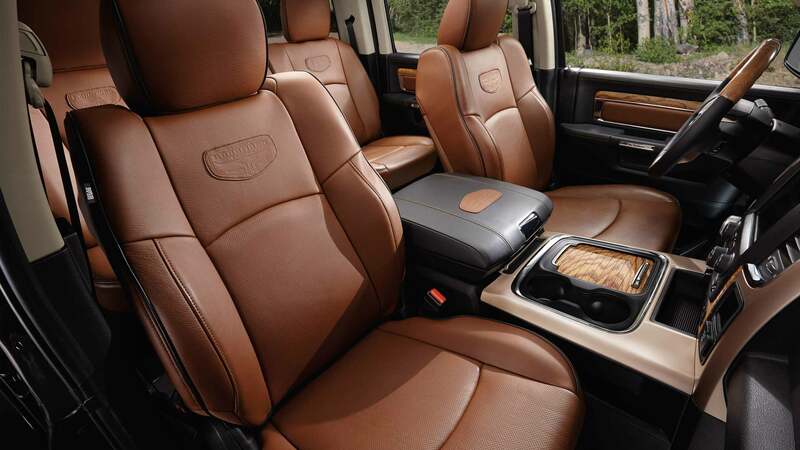 A comfortable and well-equipped interior sets the RAM 1500 apart from many other trucks in its class. 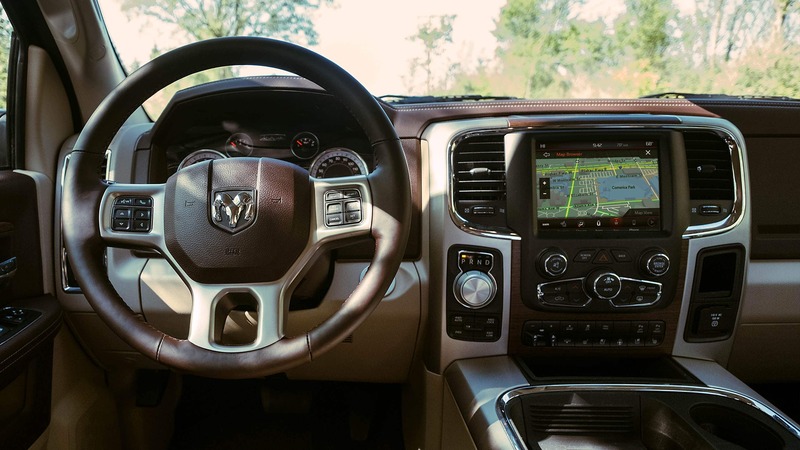 A standard 5-inch touchscreen interface already stands out in the pickup segment, while an available upgrade to an 8.4-inch screen provides drivers with the most advanced Uconnect system offered by the Chrysler Dodge Jeep Ram brand. Other standard and available features such as remote start, keyless ignition and entry, Android Auto and Apple CarPlay, Bluetooth, navigation, and HD radio add to the 1500's feeling of high-tech luxury. Also available is a 7-inch digital driver information display, with color graphics and a customizable layout. Optional leather upholstery and real wood interior trim give the pickup's interior a sophisticated feel. If you're on the lookout for a capable, hard-working pickup that doesn't sacrifice comfort and style, check out the 2018 RAM 1500. Outfitted with luxurious interior materials and some of the latest tech, the 1500 proves that you don't have to choose between utility and comfort.